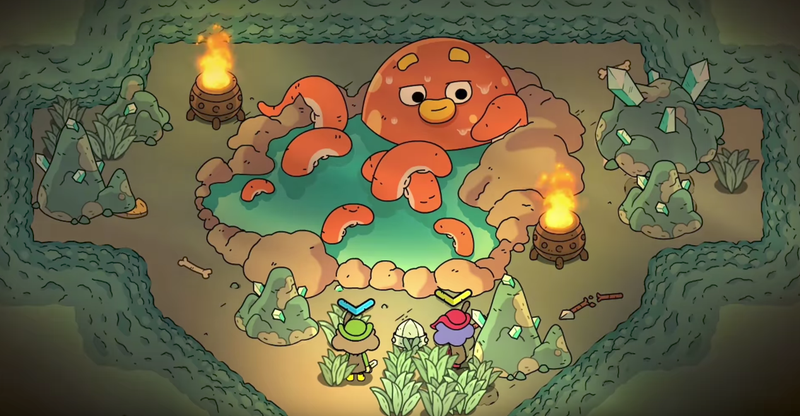 The trailer for The Swords of Ditto is adorable enough that I can’t wait to see more of this game. The Swords of Ditto is a newly-announced action RPG that takes place in a charming fantasy world Developed by One Bit Beyond and to be published by Devolver Digital, it’s slated for an early 2018 release for PS4 and PC. The trailer gives off a sweet, kind vibe—it looks like you can revive your co-op partner by hugging them! There’s a whiff of Adventure Time in its evocative environmental design, and I was pretty into the kazoo in the soundtrack. I’m intrigued by the promise of “a unique adventure for each new hero,” though the developers haven’t said much about what that means. It seems like a good game to pick up with a significant other—the trailer shows off a few environmental puzzles to solve with a buddy, and there’s also the aforementioned hugging. I also really hope I can get a plush toy of that giant octopus.